Sébastien Cornille founded Domaine de la Roche Bleue in 2007. Originally from Sancerre, this intense man came to Jasnières by way of Réunion, where he had gone with three friends to make Chenin (that’s right; on a volcano, off the coast of Madagascar). Once that was purged from their systems, they went on to buy a few postage stamp vineyard parcels in what Sébastien considered to be the quintessential, even mythical, terroir for Chenin: Jasnières (Jaa-nyair), a remote outpost of the grape some 30 miles north of the city of Tours. It’s here that the grape meets the apple; where the production of wine abuts that of cider and can go no further north. In the years that followed, Sébastien acquired additional parcels, both in the appellation of Jasnières and in the surrounding larger, and commonly considered lesser, appellation of Côteaux du Loir. These are the two northernmost and coldest appellations in the greater Loire Valley, and once upon a time the vine covered the hillsides of the Loir Valley as far as the eye could see and then all but went extinct with the phylloxera epidemic. The near coup de grace following wars and economic depression was the infamous frost of 1956. It wasn’t until the 1970s, a century after phylloxera showed up in the Loire’s vineyards, that Jasnières caught the attention of a passionate few. Still, the restoration has been minimal. Today the appellation of Jasnières is comprised of two communes and 161 acres of vines, while the surrounding appellation of Côteaux du Loir encompasses 16 communes and 198 acres. That isn’t much. 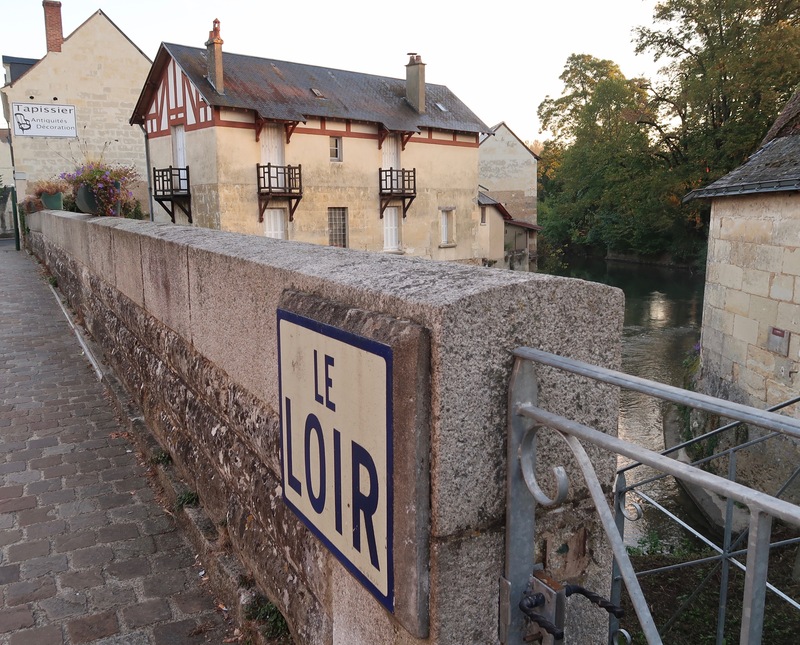 It doesn’t help that even the French confuse Le Loir with La Loire (the former is a tributary of the latter). Regardless, Sébastien never doubted the quality of this region. He spearheaded the move from the tropics to this northern wilderness because his experience convinced him that Jasnières was the place where man, soil and climate could form a perfect triangle: a diligent vigneron; a soil rich with flint and based on limestone; and a latitudinal position on the cusp of ripeness. 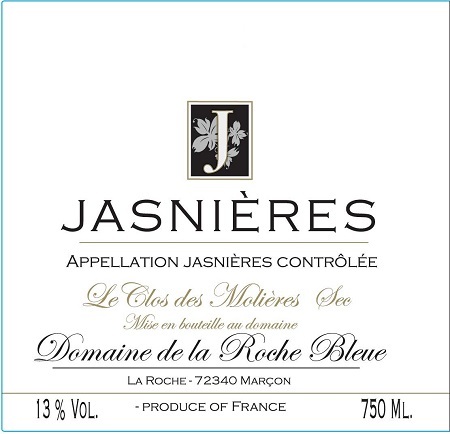 What he discovered supports the notion that Jasnières’ rendition of Chenin is a cross between Vouvray (tuffeau limestone) and Savennières (schist) — combining the succulent fruit of the former with the precise and profound minerality of the latter (without, however, Savennières’ often heady alcohol). Starting in 2010, Sébastien embarked upon organic viticulture. 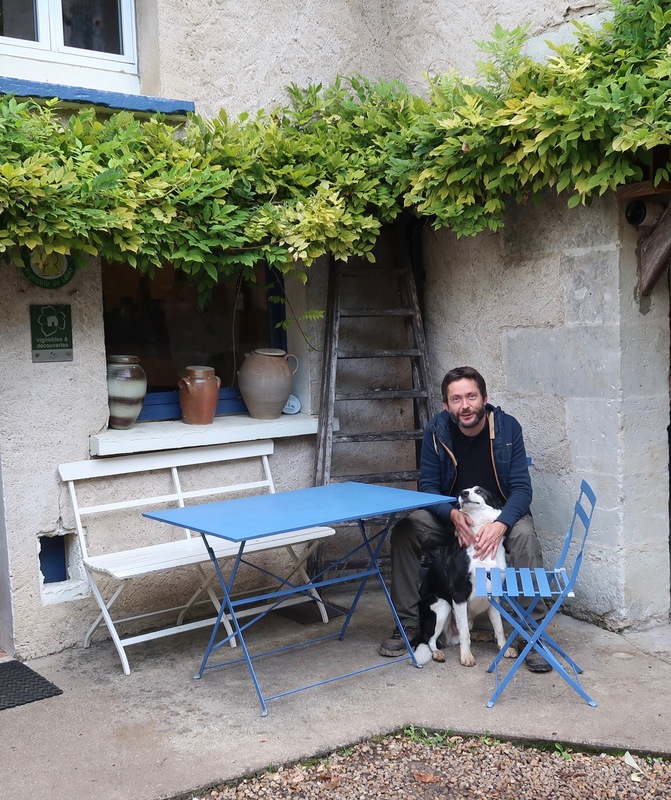 Certification came three years later, and today he works organically and employs some biodynamic methods (primarily scheduling certain operations according to the lunar cycle). His focus is on making wines as transparently as possible with minimal intervention—thus spontaneous ferments, aging in neutral barrels, no induced cold stabilizations, no fining or filtration for the reds unless absolutely required and only very light filtrations for the whites. Finally, of course, minimal SO2 additions, done primarily at bottling. Today he farms 18.5 acres spread across 29 parcels. Of that acreage, 7 are in Jasnières, a uniform hillside facing south-southwest over the broad Loir Valley, and 11.5 are in Côteaux du Loir (about 6 planted to reds and about 4 planted to Chenin). 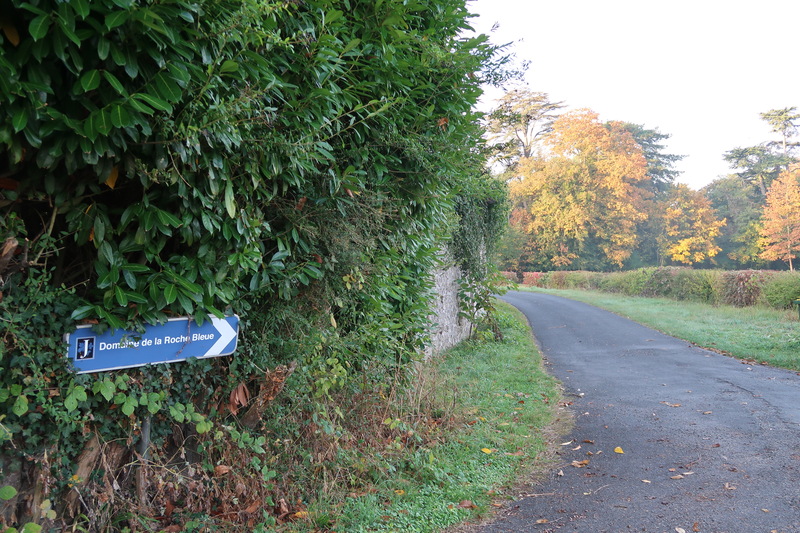 Typically, the Côteaux du Loir parcels grow on flatter sites, above the hillsides, for example; but it’s not always clear that a given site classified as Côteaux du Loir is inherently weaker than one classed as Jasnières. 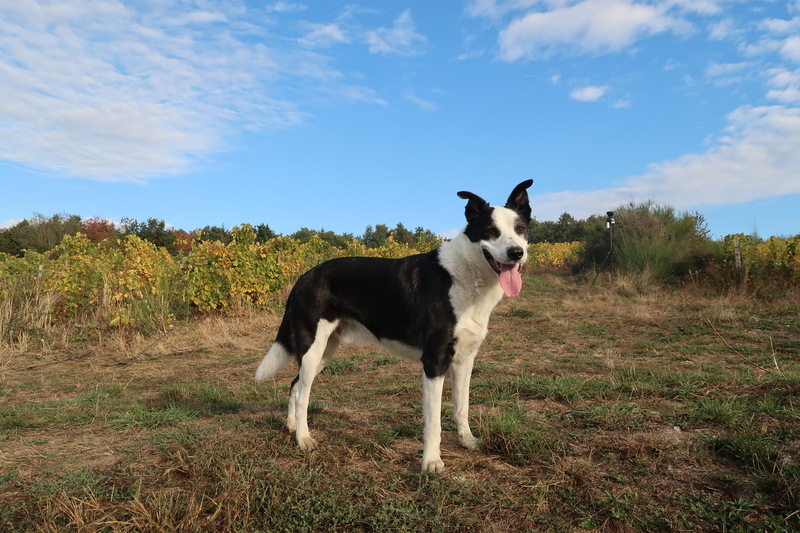 That’s Smooky, Sébastien’s dog, below on the hillside of Jasnières. Sébastien’s wines are made and aged in a troglodyte cave that was dug deep into the tuffeau chalk in 1714. There’s no tra-la-la here: equipment is simple, commitment is supreme. Production averages 1,700 cases. Approximately 65% Pineau d’Aunis, 25% Gamay, 10% Cabernet Franc La Guinguette (Gan-get) is Sébastien’s vin de soif, meant to be consumed merrily and young (the wine, that is). The name refers to festive sites on the river where wine would flow easily. Fermentations are done with whole clusters and with de-stemmed grapes, and the proportions depend on the year (riper vintages typically have more whole cluster). The Pineau d’Aunis is raised in neutral barrels while the other wines are brought up in steel; total élevage goes for six to seven months. Like his other Côteaux du Loir wines, this has a fun label; the Jasnières wines have the more serious, somber labels, reflecting their more serious intent. Côteaux du Loir La Belle d’Aunis Pineau d’Aunis This comes from Sébastien’s finest parcels of old vine Pineau d’Aunis, ranging from 40 to 80 years old. The base comes from four parcels with up to three others included if they merit it. Yields are always quite low, and the wine fermented whole cluster and raised for eight months in older 400L barrels. This represents about 25% of his red wine production; La Guinguette represents the rest. Chenin Blanc Full name is L’Orée de la Berterie. An oré(e) is the edge or fringe of something—in this case, of Berterie, the name of a forest. This was the first parcel of the domain; its first wine. It’s raised for a minimum of eight months in steel. Chenin Blanc This is mostly raised in neutral oak with around 40% raised in steel. Chenin Blanc Clos des Molières is a lieu-dit of 37 acres in the Jasnières appellation where Sébastien farms three acres. This wine is raised in neutral barrels of various sizes for at least 12 months, followed by 6 months in steel.